Before you exchange the rings and the vows, there are some very important things to discuss with your spouse before you tie the knot, and I mean deep, raw, and personal. 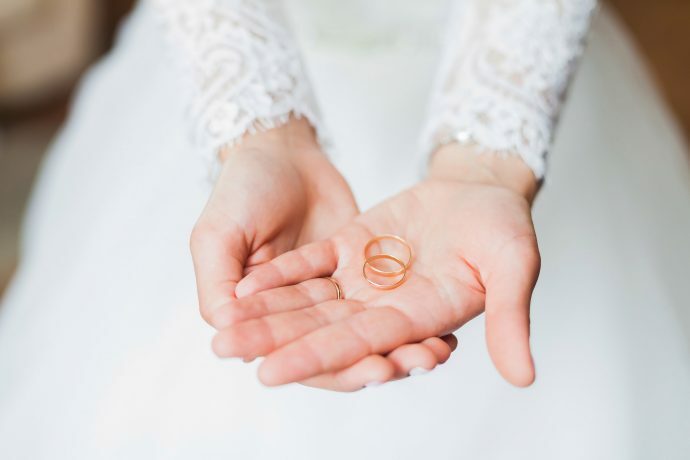 Sure, some of these topics may have been brought up in passing or general conversation when dating, and you may think you already know what your partner wants or expects after the wedding. But then it turns out that the wife is in credit card debt or the husband doesn’t want children. One wants to move to a new country in the future and the other refuses. The husband had a traumatic childhood and is now projecting it onto his wife, or the wife has issues from a previous relationship. It can honestly be anything along those lines, but you see what I’m getting at. 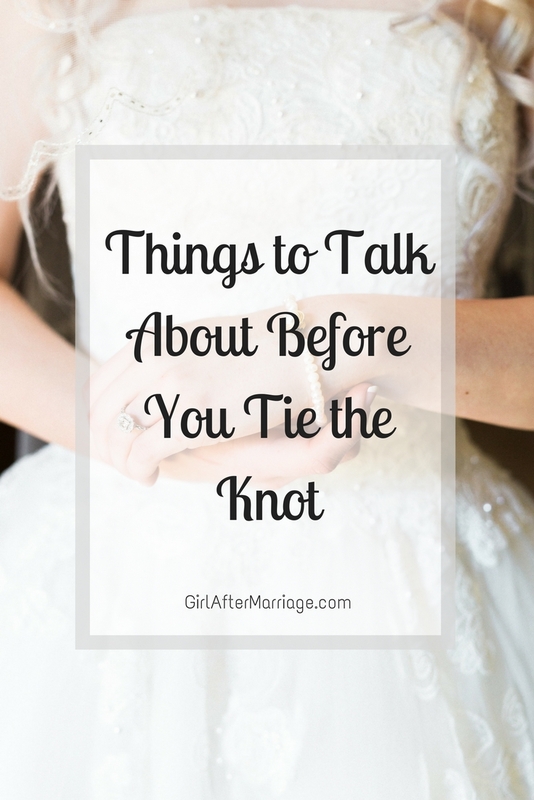 There are several more topics out there that should be discussed together before you tie the knot. However, I narrowed it down to the 6 main ones that you must discuss with your partner before the wedding day. This topic was honestly one of the hardest for me to discuss because talk of money makes me uncomfortable. But no matter how uncomfortable you feel, you need to talk about finances before you tie the knot. If you’re in some debt (credit card, student loans, car loans, etc.) make this known to your partner! When you are married, you do inherit your partner’s debt. The debt is something that you can both tackle together as a couple, and come up with a game plan to quickly reduce and eliminate it. This is so important to talk about so that your partner knows what financial situation you are currently in since they are now in it with you. Discuss what you earn in your jobs (weekly, monthly, yearly), so you can figure out how much money you earn individually. When you find out the overall total between each other, you will be able to see what lifestyle is affordable for both of you. Remember, once the rings are exchanged, your income is now shared. It is no longer a “your money, my money” situation. This then leads to making various budgets. Create budgets for groceries, clothing, essentials, bills and entertainment, and make a plan on how much to spend on each category for the month. Make sure you are still putting money into your savings. Be sure to talk about financial goals for the future. Create and discuss a rough plan on where you would like to be in 1, 5, and 10 years. Do you want to save up for a down payment on a house? Buy a new car? Travel or move somewhere new? Also, talk about bank accounts. Are you going to creating one together? Will you add one partner onto the others? If one or both of you have a separate savings account, make sure to put the other as the beneficiary (this will be important in the case of an emergency. Overall, be sure to agree that when it comes to money, you will manage it together. I cannot seem to understand those stories I hear of a couple who get married, and then one finds out the other has no desire for children and had no idea! This, unfortunately, usually ends in a divorce. I feel like this is a very important topic to talk about before you tie the knot. It is essential for both partners to be on the same page when it comes to having children. Be sure to ask each other a lot of questions! How many children would you like? What type of parenting style do you prefer? Are we going to raise them on a specific religion? Home school or regular school? Adoption? Do you even want children? Communicate and come up with a plan or compromise with each other. Be sure to bring it up again for when the time for having children arrives. Have you ever heard of that saying, “Hide your flaws, until after the wedding”? This is basically the same thing, but with secrets. Tell each other everything. Everything! You should not keep any secrets from your partner. Reveal every ugly thing you have done, something you’ve been hiding, or any thoughts you have kept to yourself that may or may not involve your partner. It is best to get it out all out in the open now instead of it coming out after the wedding. If you’ve heard something your partner said that bothers you, or anything you both do not agree on – family, finances, things of that matter – it is much easier to break up an engagement then to pay for an expensive wedding and then a divorce on top of that. But have no fear! If your partner truly loves you (which I hope they do if they are marring you), they will not judge you and will openly listen to what you have to say. Hopefully, by the end of this conversation, you’ll both feel closer to each other than ever before. If you’ve had relationships that had gone wrong, a bad break-up, or some sort of childhood trauma, communicate that with your partner. These types of things can carry on into your marriage and cause damaged if sprung on your spouse out of nowhere. Again, if your partner loves you, they will not judge and will listen and be understanding. They will stand by your side as you get any help that is necessary to overcome those fears or trauma. What are your dreams and goals? What would you like to work towards and achieve? Perhaps you can even merge your goals and dreams together, or just support, encourage, and even help your partner achieve theirs. Talk about what you want the future to look like, where you want to be and strive towards. Even though it is best to be in the moment and think more about the present, it doesn’t hurt to think into the future and see if your goals and dreams line up together. Now every couple is in a different stage when it comes to intimacy in their relationship. For myself, I made it known right from the beginning what my limits were when it came to intimacy. My values were respected, so that put us on the same page instantly. When we got engaged, we discussed again what our sexual relationship would be like once married. Let your partner know if you have any limits or boundaries. Continue to respect each other’s wishes within the marriage, too. If there is anything else you think you must discuss with your soon-to-be husband or wife before you tie the knot, do it! I wish you the best in your marriage, and many blessings to the both of you, as you take on this crazy adventure called life together. Wow! I really love this post. These are things that should definitely be talked about and, in detail. I will admit, money ( and debt, especially) is hard to talk about. Great points for the unmarried or soon to be married people out there! Agree, these topics are so important to talk about! great post! I wish everyone took this advice! So much stress and marital strain could be avoided by just discussing these things beforehand. Great tips! Right?! It would save so much trouble and you get the big things out of the way! No need to worry about them after. I agree so much that you need to talk about children and finances. If you aren’t on the same page in these areas, it spells trouble for the marriage. For sure! It is simple to bring up these topics and talk about it, save yourself the pain and trouble for the future. Very sensible tips. Sometimes I wish we had talked about finances and joined things together when we were married. Not sure I could handle the change though now. Very true about secrets. Thank you! It’s definitely a tough topic, but once you do, it makes everything so much easier. EXCELLENT!!! These are the things that we most definitely need to discuss before marriage heck before engagement. Hi Nikki! These are all very important topics! I really like how you presented all of them and I will definitely sit down with my S/O and cover any we have missed over the last 2 years dating. Thank you! Hi Nikki. This is a really great post. I love that it covers some really important topics that persons are either too afraid to talk about or don’t think about at all. I really enjoyed it. Such a great post and it doesn’t matter what your age, these are things that all prospective bride s and grooms should be talking about. Great post and very helpful. There were a few things that I haven’t thought of. Although I am not sure whether to talk about it before engagement or after it. What’s the best way? It is so weird to talk about it when there is no proposal yet. Of course! If you are still dating but you are both on the same page of possibly getting married, you can definitely discuss it before the engagement. Most couples wait till they are engaged to talk about such serious topics. It really depends on the couple. My husband and I talked about it in passing while dating and then got serious about it while engaged, so you can even do both! This was an awesome post. I found it really informative as a person who is not yet married, but has a S/O. I remember the conversation we had about my Student loans. It wasn’t easy but I was so relieved. I hadn’t shared it with anyone until I met him. Your advice is very important . People often don’t understand what it takes to stay married. Thank you so much! I know, it was so hard when I had to talk about my debt, but once it was out, I felt much better. It takes a lot of little, but really important things to stay in a relationship. Thanks for commenting! This is a great post. Each point is absolutely valid to discuss with your significant other. LOOOOVE this post! You’re absolutely right with everything. These things are so important to discuss and so often, people overlook them. It definitely gets your relationship started off on the right foot if you go through these! I definitely agree. 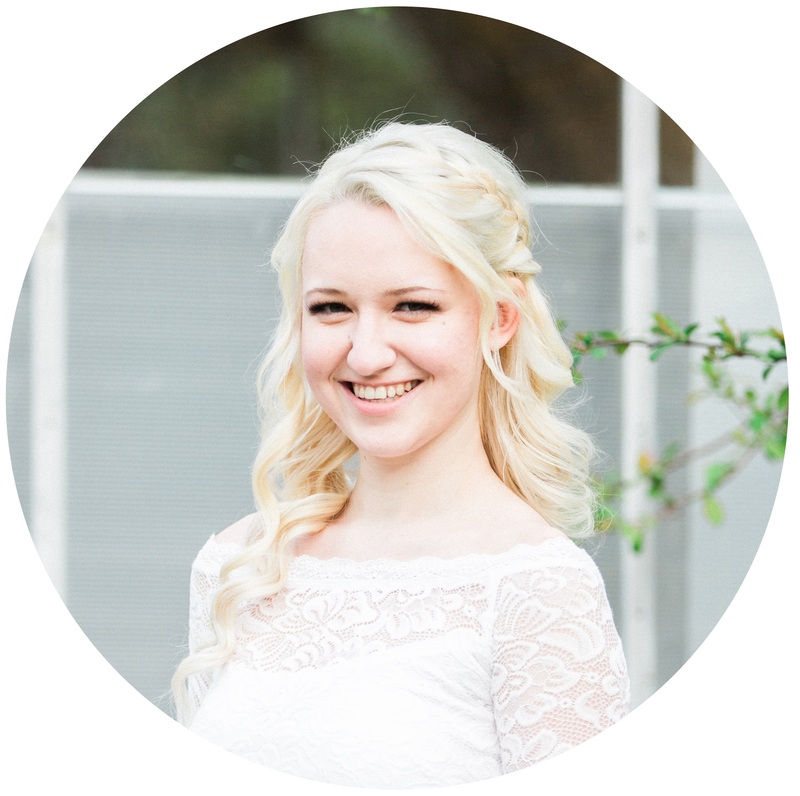 The key to a great marriage is great communication – before and after the wedding itself. The financial aspect of it is something that sinks so many couples and is so critical to discuss beforehand. It is definitely critical to be on the same page in all of those areas and not enter marriage blindly. Good tips! This is a great list of topics to discuss. It is always best to know if there are deal breakers before the big day! Yes to all of this! It’s so much easier communicating and working together towards a common goal in a relationship rather than not talking and running into trouble throughout your relationship. This is really good. My husband and I bought a book to help us guide our conversation before getting married. It’s really important to talk about the future and the truth and not just get married with full of infatuation and sweep difficult topics under the rug. Love this post Nikki. I admit, finances is one thing we didn’t talk about. It’s still scary to talk about it; it’s probably because we didn’t start with it long ago. Great post! We had premarital counseling that helped us address these points. Great thoughts! My husband and I just finished pre-marital counseling with a great couple and there were a lot of these topics on our list!